Natasha Von Imhof won the three-way race for the Republican nominee for Senate District L Tuesday with 48 percent of the vote. 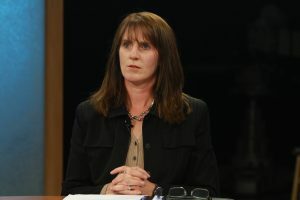 Von Imhof, a former Anchorage School Board member, says one of her main challenges was gaining name recognition when running against Representative Craig Johnson. She says she thinks part of her appeal is that she listened to voters and didn’t focus on cutting the PFD. She says she brings skills that she developed as the self-described “lone conservative” on a liberal school board. “It learned me the art of inserting influence using data and common sense and listening and trying to find solutions that everyone could live with,” she said. GOP spokesperson Suzanne Downing says it’s not surprising that she beat Johnson, even though he was already serving in the Legislature. Johnson took nearly 30 percent of the vote. Challenger Jeff Landfield had 23 percent. Previous articleWhat’s causing Anchorage’s wave of homicides?